In an alternate Atlanta where magic is practiced openly, where witches sip coffee at local cafes, shapeshifters party at urban clubs, vampires rule the southern night like gangsters, and mysterious creatures command dark caverns beneath the city, Dakota Frost’s talents are coveted by all. 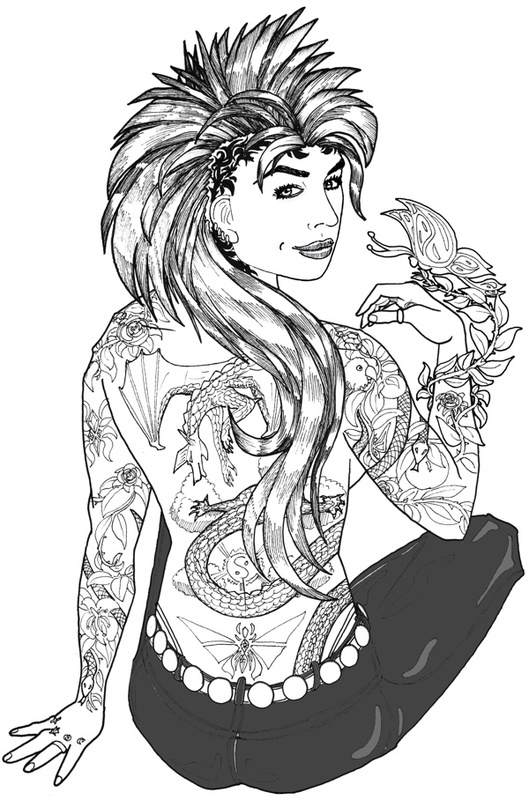 She’s the best magical tattooist in the southeast, a Skindancer, able to bring her amazing tats to life. When a serial killer begins stalking Atlanta’s tattooed elite, the police and the Feds seek Dakota’s help. Can she find the killer on the dark fringe of the city’s Edgeworld? Among its powerful outcasts and tortured loners, what kind of enemies and allies will she attract? Will they see her as an invader, as a seducer, as an unexpected champion … or as delicious prey? For more, you’ll have to get it on Amazon or Bell Bridge. This entry was posted in Uncategorized and tagged Excerpts, Frost Moon. Bookmark the permalink.